Welcome to The Jungle — Social We Talk? 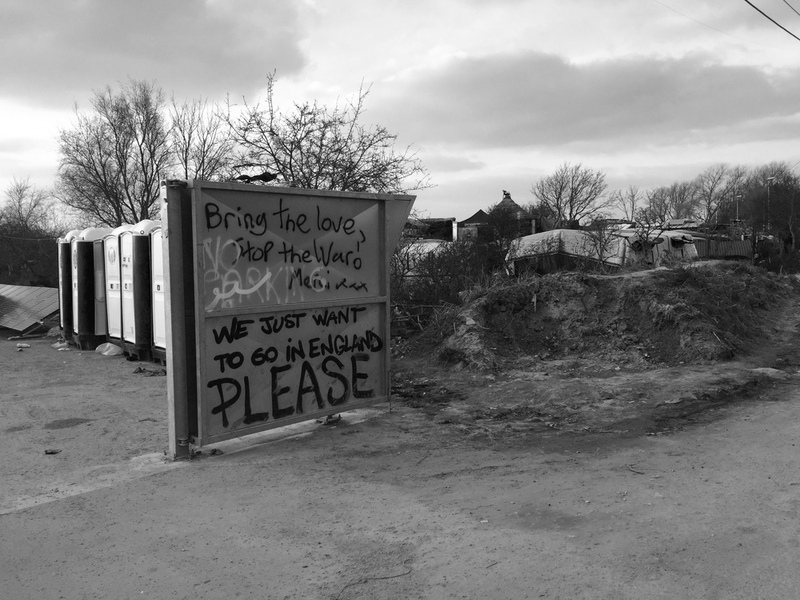 A blog from our director Ben, who visited the Jungle camp in Calais this weekend with friends from the church he attends in Sheffield, The Well. The opinions, perspectives and beliefs held here are that of Ben Elliott. I'm going to try and be as brief as I can, and that, on this particular topic is hard. I'll avoid the long description of our journey, who I was with, where we stayed or the agonising months of challenge I've felt in my heart to do something about this crisis, as I watch from afar at the modern disaster of our time that governments are failing to handle. What's important to note is this. Ignore the demonisation and scaremongering of the gutter press that would have us believe their lies. These men, women and children are trapped in transit between the hell they have escaped, and are simply pursuing the future they hope for, which as of yet, eludes them. They are warm hearted, beautiful people who need support, empathy and empowerment. These desperate humans are for me geographically closer than the majority of my family in the UK. The short hop across the channel makes me feel as though this tragedy is very much scratching at my window, whilst I recline in luxury. That's why I wanted to be a part of a trip to bring a bit of joy, hope and pray with those who are balancing at breaking point. 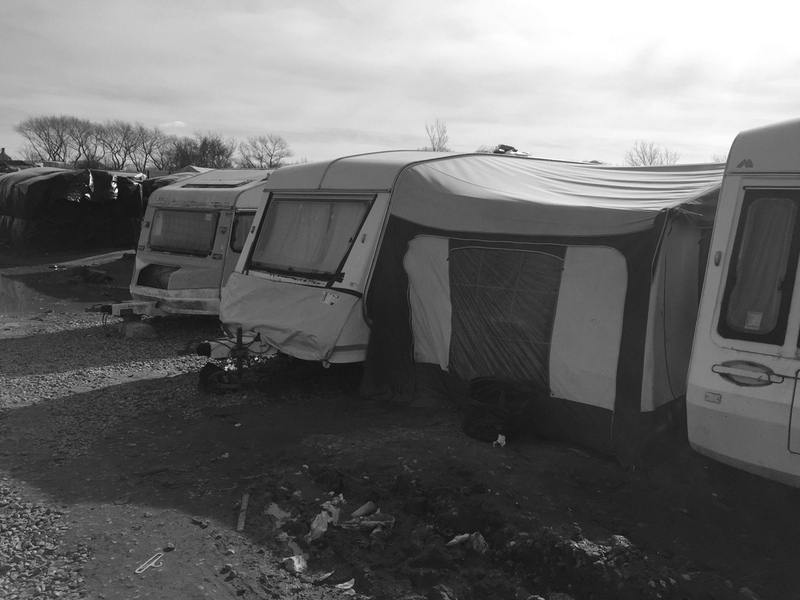 Contrary to the press reports who would have you believe every refugee or migrant is a crime waiting to happen, we were welcomed into homes (tents/shacks etc) where these people who had nothing gave us everything. With warm smiles, hugs, handshakes and thanks they offered us food and drink, sharing stories, songs and dance. Coffee with ginger root sliced into the hot pot on the open fire as a fabric roof flapped over and smoke billowing, bringing soot infused tears to my eyes. These men we met from Ethiopia, Syria, Afghanistan, Eritrea, Iraq, Iran, Egypt, Sudan and beyond were simply wonderful human beings. Never once did I feel threatened or at risk. I saw young men that were clearly suffering mental stress as a result of the horror they'd born witness too in the short lives, but there was no malice in their action. Well, thanks to the generosity of so many people, the residents of the Jungle were clothed, fed and watered. 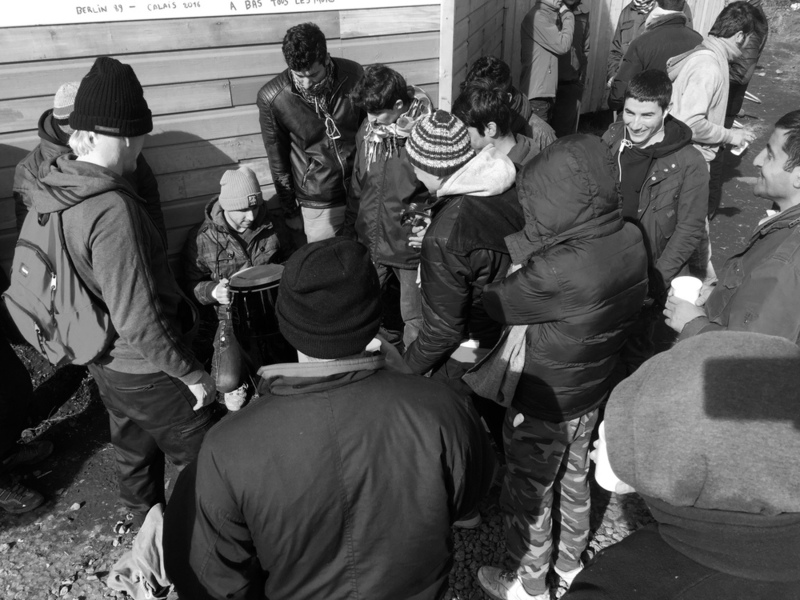 They que for hours to enjoy simple acts such as having a shower, or to receive an item of clothing, but from what I saw their needs were being met in this respect. It may sound odd from a British perspective, but our approach was to to give the residents hope through conversation, music and prayer. Music breaks down all barriers and as I clutched my guitar in my hand I was ushered into various homes and street corner benches to sing songs along with my friends from the UK. People wanted to hear songs and play our instruments. Small crowds gathered, signing along to our simple melodies and gospel songs. The words for me striking a chord in my heart as a I projected them best I could, hoping to give these guys a sense of Gods love for them. It was a joyful distraction for them from their circumstances and an opportunity for them to feel free. 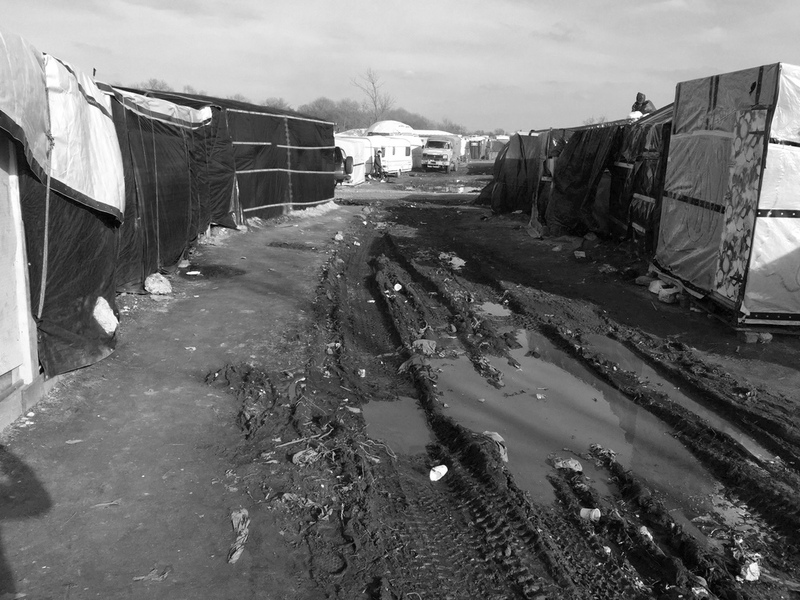 The conditions in the camp were completely inappropriate and unacceptable. 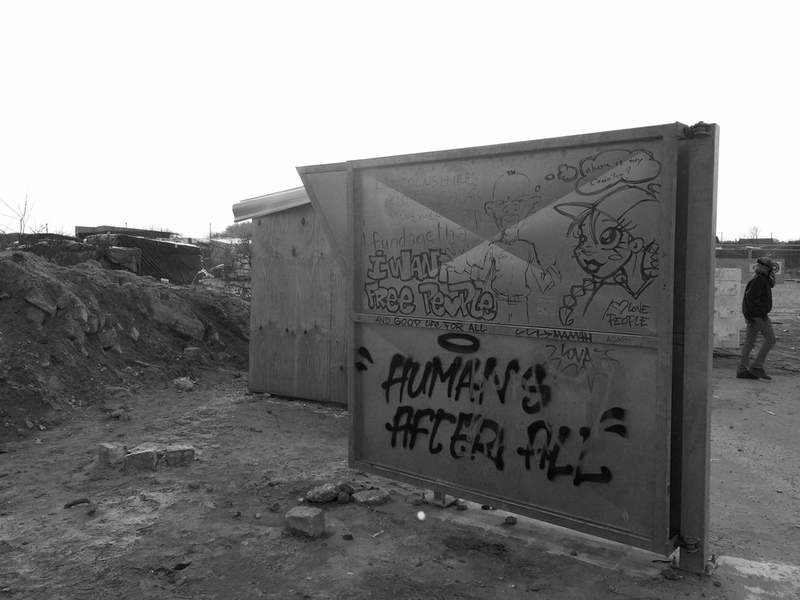 I found it heartbreaking considering the lost potential that is sat in the camp. Many of those in the Jungle have degrees and are educated people with huge potential and yet because of where they were born our government, and others, treat them as though they don't exist. 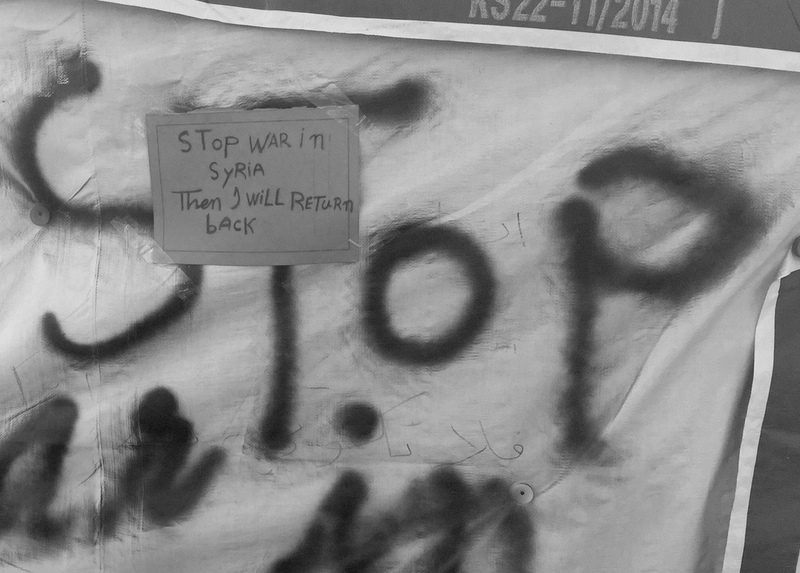 These people just want peace and a better life, is that a crime? 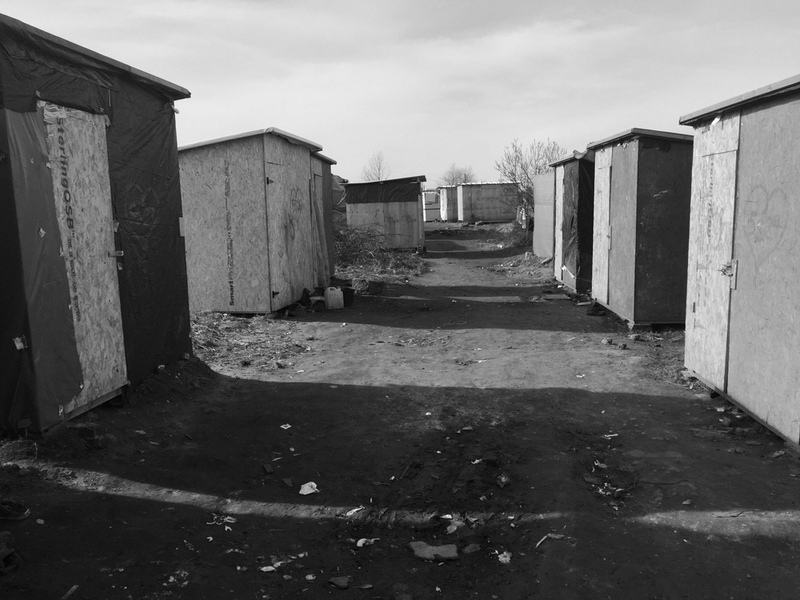 Europe needs to examine its consciousness in its response to the wider refugee crisis and that of the Jungle and its residents. 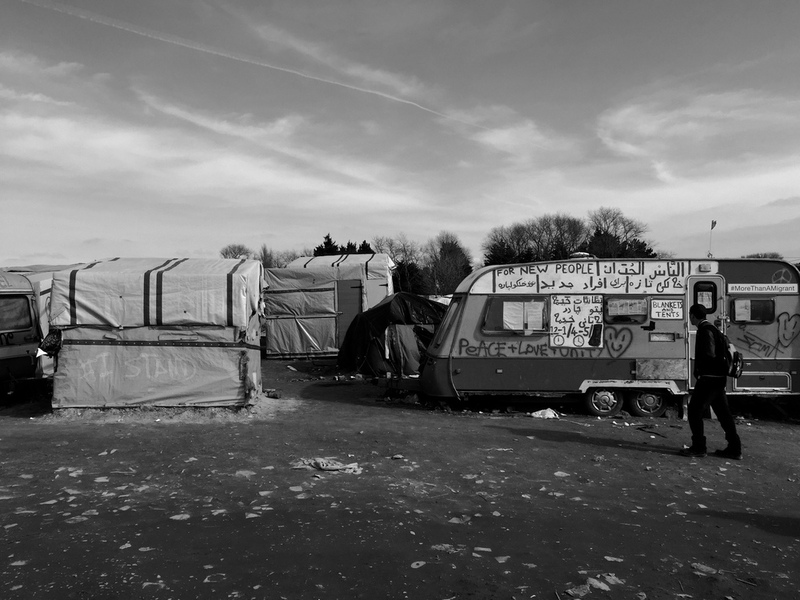 The french authorities certainly have failed to communicate effectively to residents in the Jungle. It's no wonder violence occurs when there is no transparency. It's no wonder there is no trust of the law or authority when those whom society expects to care and protect ignore the humanity of the circumstances for which they're presented. I don't propose to have the answer to this solution, but one thing I know is that the UK government is not doing enough to help these people. We are in an age where instead of building walls, we need to build bridges. Instead of fear we need to speak of hope. Instead of running from what we don't know we need to embrace change, diversity and be truly prepared to offer sacrificial love, treating those displaced by war, famine, terror, and oppressive regimes with grace and empowering them to know that they are treasured people. The choices of our generation will have repercussions through history and we cannot be the bearers of a banner that did not rise to the cries of those who needed us. There's so much I could say, the stories I heard, the experience, the smells, the needs but there is not enough space nor time. I am considering my response to this huge challenge. My dream for Social We Talk is that in the future we will be able to to invest in projects that will give others a fair chance in life. I am where I am because I was born free into a war-free democracy. Taking the words from a U2 song, 'where you're born should not decide, whether you live, or whether you die'. It's not acceptable to think these people are just 'unlucky' to be born into those situations of famine, war and terror, we need to ensure they don't have to face such opposition to their freedom and that may come by sharing some of our own. Thanks to everyone who supported our trip with encouragement and prayers.